The Yale School of Management (also known as Yale SOM) is the graduate business school of Yale University. Yale SOM awards the MBA, EMBA, Master of Advanced Management, and Ph.D. degrees, as well as joint degrees with nine other graduate programs at Yale University. 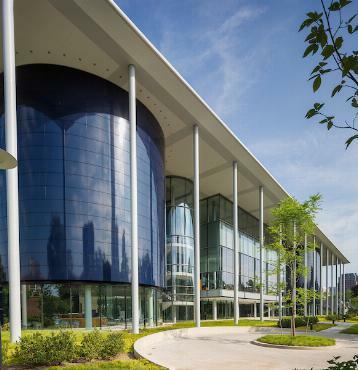 The hallmarks of Yale SOM include its close-knit student body and unique integrated core curriculum, which comprises a series of classes organized around stakeholder perspectives rather than narrow functional disciplines. The Yale approach puts an emphasis on viewing questions and problems from many perspectives and taking into account the connections between organizations and the broader society. In addition, students at the school benefit from a high degree of integration with Yale University as a whole and have the ability to take elective courses across the university. Classes are held every other weekend, Friday and Saturday consecutively, for 22 months with a two week Orientation residency period, one week abroad in June for the Executive MBA Global Network Week and a one-week residency period before the second year. A four-year bachelor’s degree from an accredited U.S. institution or the international equivalent is required. International applicants with a three-year degree from an accredited institution are eligible to apply. The two-year, all inclusive program fee for Class of 2020 enrolled students entering in July of 2018 is $179,800. Program fees include tuition, required textbooks, study materials, and breakfast and lunch on all class days. Program fees also include lodging during summer residencies, Friday evenings during class weekends, and the EMBA Global Network Week.